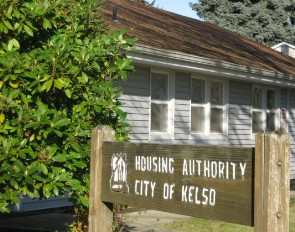 The Kelso Housing Authority's Board of Commissioners oversees the Housing Authority and is responsible for approving KHA policy and the annual budget. The Board of Commissioners also hires the Executive Director, who serves as the Agency's Chief Executive Officer. The Executive Director oversees the day-to-day operations of the Housing Authority and implements policies and programs. Each Board member is appointed by the Mayor. Board members are volunteers who serve a five-year terms. KHA's Board of Commissioners holds monthly public meetings. Meetings are held on the third Thursday of each month at 10:30 am in the Housing Authority meeting room. In addition to attending Board meetings, persons interested in contacting the Board may write them c/o the Kelso Housing Authority at 1415 S. 10th Kelso, WA 98626.